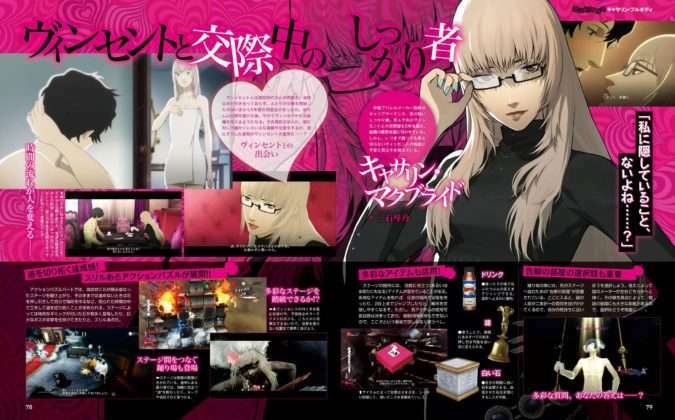 Weekly Famitsu magazine issue #1575 includes a 12-page pre-launch feature on Catherine: Full Body. 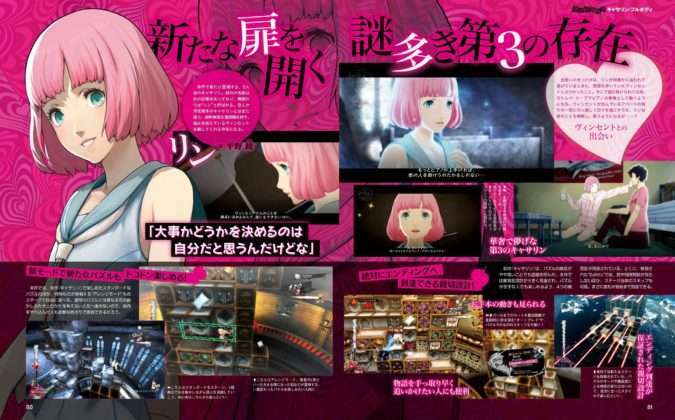 The feature is an overview of the action-adventure puzzle game starring the 32-year old Vincent Brooks, who is going through relationship issues which involve cheating. 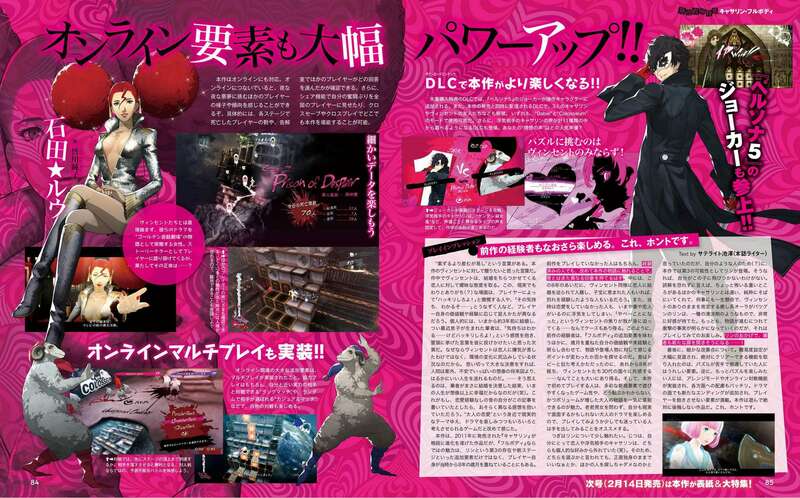 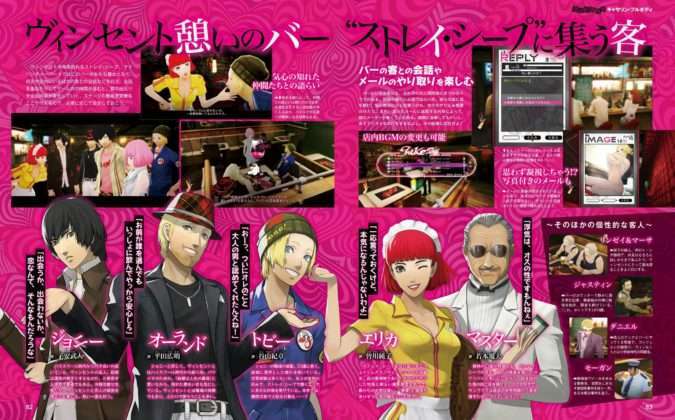 The magazine summarises information on the upcoming game, including the latest screenshots, profiles of the characters, and the various gameplay elements. The Famitsu review for the game can be seen in a previous post. 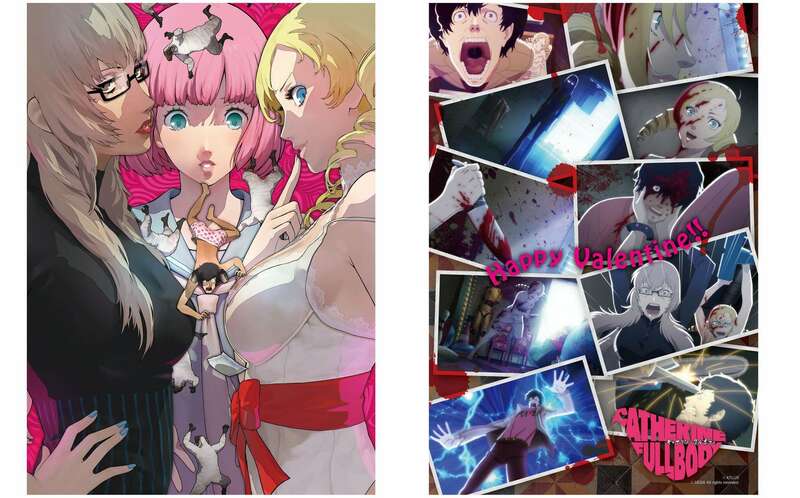 Weekly Famitsu magazine #1575—or the February 21, 2019 issue—was released on February 7, 2019. Next week’s issue of Famitsu will include a launch feature for Catherine: Full Body for the game’s release.